So far, Solskjaer has only faced teams in the bottom half of the Premier League table and done well. It will be intriguing to see how well his United team can perform against the top teams. The Red Devils do need to improve key areas in the winter transfer window and priority should be the back-line. United’s defense has been average in the current campaign and a leader is desperately required. As per the latest transfer news, Man Utd are linked with Greek international and Roma star Kostas Manolas. According to Tutto Mercato Web, Man United and Paris Saint-Germain have expressed ‘clear interest’ in signing the 27-year-old center half, who has a release clause of £32.4million in his contract. TMW has also stated that paying the above mentioned release clause does not seem to be a problem for the likes of Man United and PSG. However, the Italian outlet have reported that the defender wants to serve the Giallorossi this season and is looking to leave in the summer. 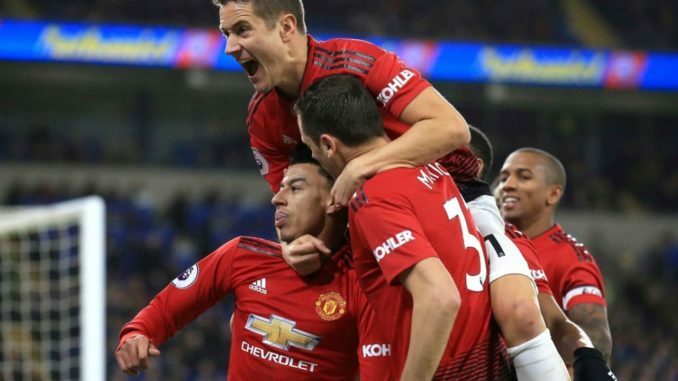 The Old Trafford club only conceded 28 goals in the entire PL campaign last term but they have already let in 31 goals in just the first half of this season’s league campaign. Therefore, United cannot and should not wait for the next summer. Defensively, they have been terrible and need to solve the conundrum in the winter transfer window by signing a top central defender. An experienced star like Manolas completely fits the bill. The tall defender is the leader of Roma’s back-line and he is dangerous in the attacking third from set-piece situations as well. Last season, he netted 4 goals in all competitions including the decisive strike that knocked Barcelona out of the Champions League. Woodward needs to act in January and he should activate the release clause in Manolas’ contract to lure him to Old Trafford for Solskjaer.